Photos by campers features pictures of the campground, taken by various campers while staying at Mackinaw Mill Creek Camping. The following photos were taken by our campers. 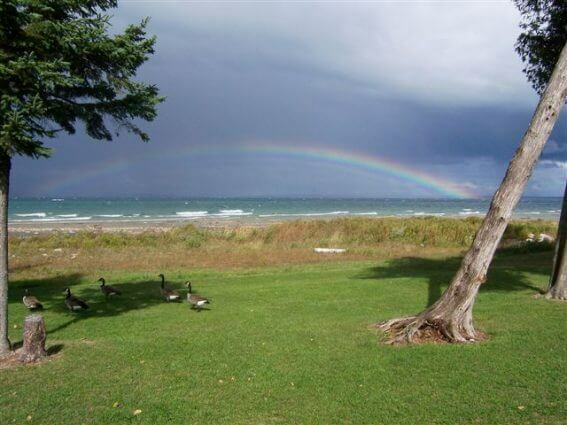 If you have a special shot, e-mail it to us at office@campmackinaw.com. Tell us a few things about it, like where and when you took it and maybe something about yourself. 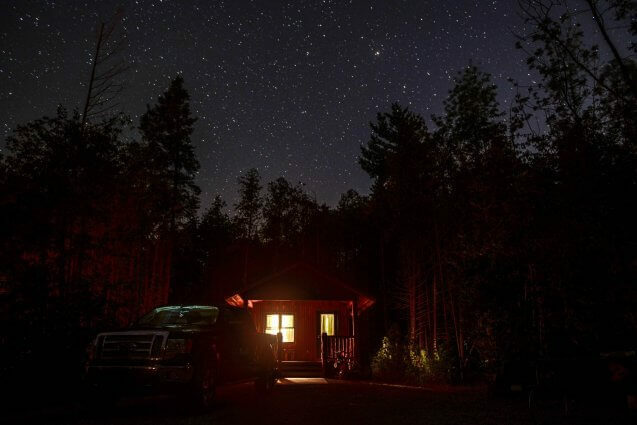 "The beautiful night sky from our stay last August. See you again this summer!" A campsite at Mackinaw Mill Creek Camping. Photo taken by Scott and Crystal Wachtel. 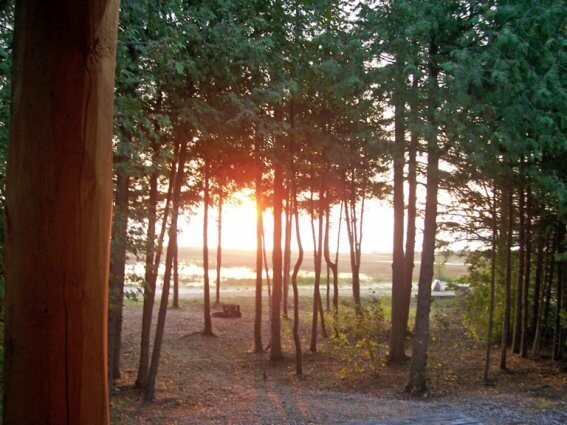 "We stayed at your campground the week of July 4th 2012 on a lakefront site. The views were absolutely beautiful. 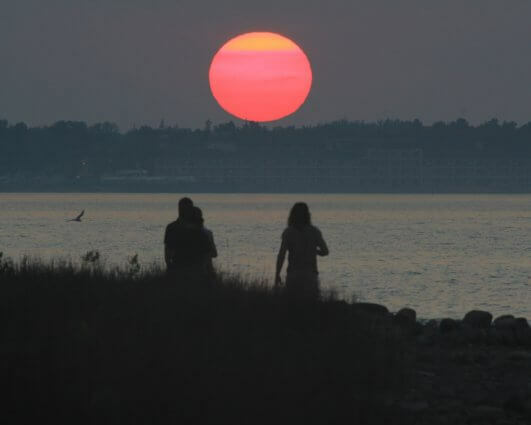 The attached photograph was taken of some fellow campers watching a fantastic and unusual sunset. We had the best time during our stay and thank you for your friendly staff and warm hospitality. We are looking very forward to staying with you again in the future." "This was my second Labor Day walk of the Mighty Mac (2008). While my Pa (Bob) and I were just coming up to the start of the cables a man walked by us and said, "now that is a nice picture." 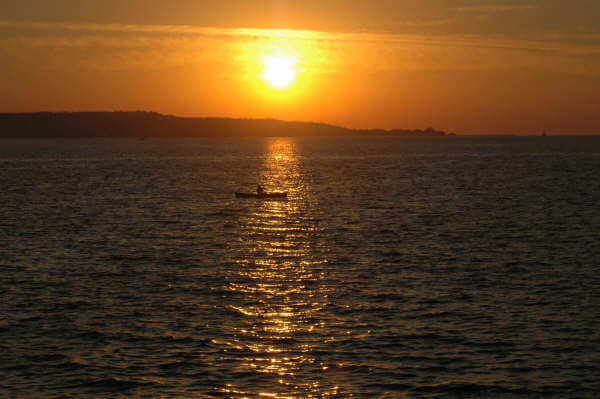 I would like to find out who the man in the canoe is, as I would like to send him a copy of the picture. He was the only canoe out there this Labor Day." "We're pretty sure we were in Row 4, first site facing the water. It had rained pretty good. While sitting at our kitchen table I couldn't believe what I saw after it had stopped! And with the geese in front. I ran out to get this shot before it left. As soon as I got back in, it was gone. Thanks for a wonderful stay at your lovely campground. Our first time visit to the area." 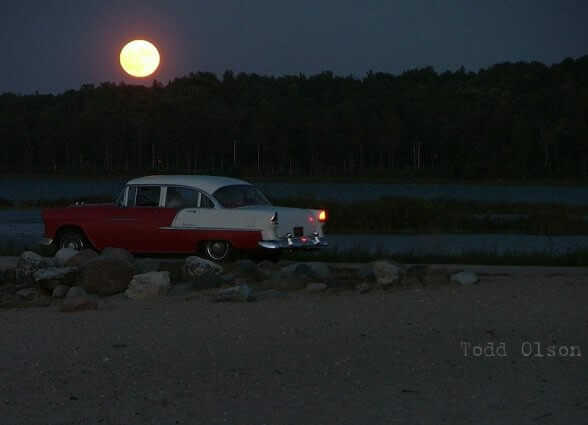 The full moon over a shallow Lake Huron bay on a beautiful June evening at Mackinaw Mill Creek Campground. 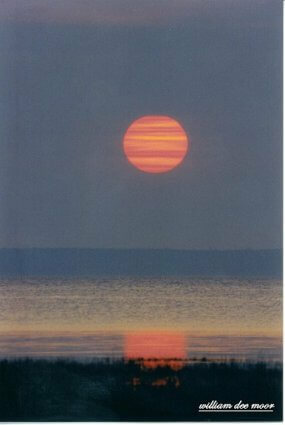 This photo is of the sunrise over the bay at Mackinaw Mill Creek Camping by camper Bill Moor. It was taken in the summer of 2004. Mr. Moor said the strange "other planet" look only lasted a few seconds. That is Bois Blanc Island under the sun. 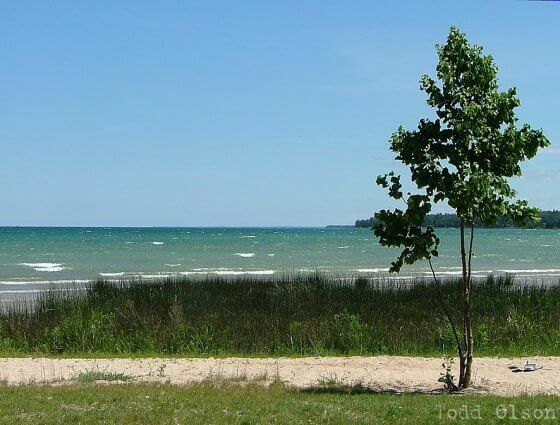 A shot of the Lake Huron shoreline on a beautiful June day at Mackinaw Mill Creek Campground. 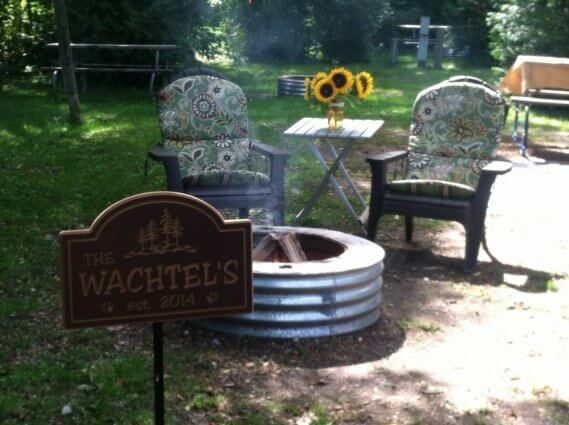 "We had a wonderful time at your campground and met some of the nicest people! 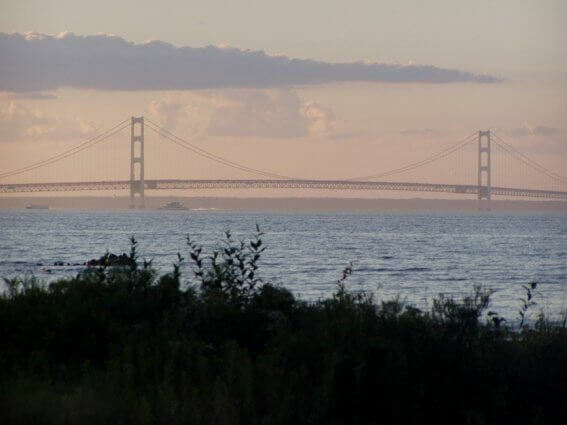 This photo was taken from the concert area on the beach of Mackinaw Mill Creek Camping during the summer of 2005." "We were at Mackinaw Mill Creek Camping Sept 15-20, 2007. We stayed in a lovely lakefront cabin. This is one of the most beautiful sunrises I have ever seen. I've been camping at many campgrounds in the area, but none as lovely as this one."